Home » When Does the Old Become the New? I can’t help feeling like a criminal. I’m currently using what crime writers call a ‘burner’ phone: cheap, low-tech handset that’s invariably thrown in a river to avoid being traced. 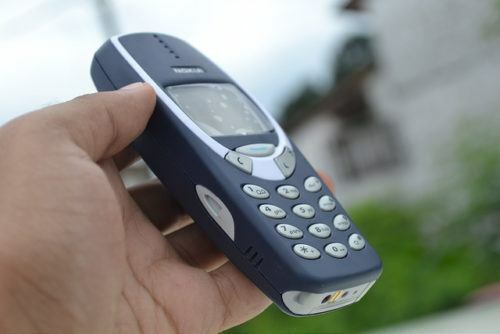 Using it has also created a sense of nostalgia, and I’m clearly not the only one: affection for a bygone era led to this week’s reissuing of the famous Nokia 3310, and this forms this week’s stimulus. · What has to happen for the something old to become the new? · What makes people prefer the ‘old-days’? · Do people think about the past more than the future? By responding to a question you’ve chosen, pupils are instantly engaging in dialogue. A closed yes/no question encourages competing and responsive arguments. An open question can also create disagreement – gather three or four distinct proposals (e.g. the reasons for nostalgia) before focusing the discussion on which is most plausible / important. Sometimes pupils’ first answers can feel isolated and don’t seem to stand in opposition to each other. If this happens, pause and let someone summarise what’s been said. Note the ideas down, and offer them to pupils as potential ways of narrowing the discussion. Hold on a quick vote on which line of enquiry feels most interesting, and resume the enquiry from there. Once a discussion is underway, you might find new questions arising naturally. For example, if a point is made and it gets a ripple of reaction, offer the question of whether or not people agree with it. You might also hear pupils giving their own examples to support their points – in this case, perhaps other other instances of the old being preferred to the new, or tradition over modernity. Younger children obviously don’t have past experiences to draw upon, so may voice their opinions about adults they know who have a soft spot for the past. This can narrow the scope of the question and generate more focused discussion. Whatever question you end up exploring, you could scribe the pupils’ reasons and make a display where staff add their thoughts. How do views change with age? This was the latest issue in our free weekly email bulletin. Receive session plans, teacher-tips and topical stimuli by signing up here!